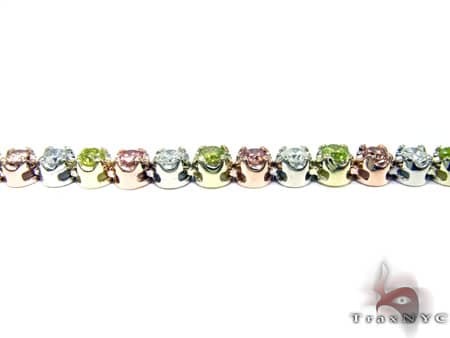 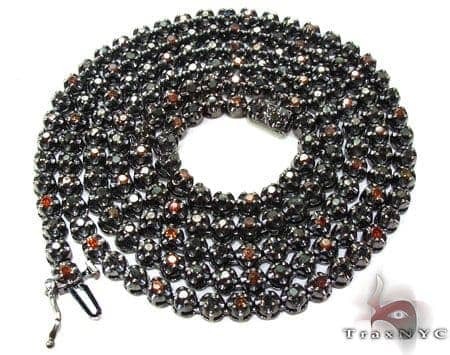 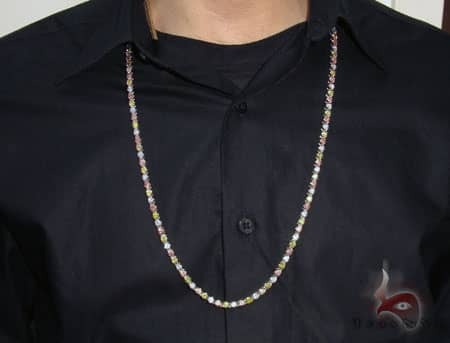 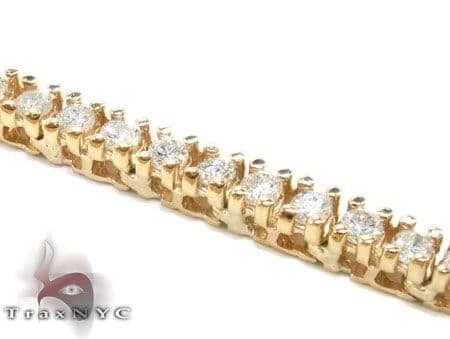 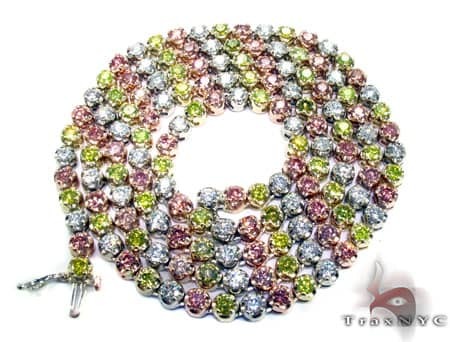 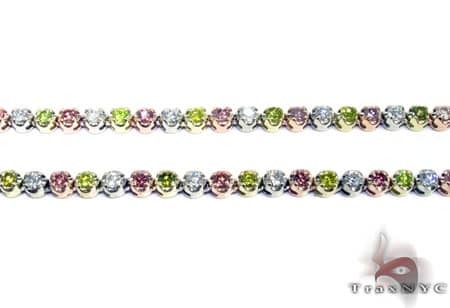 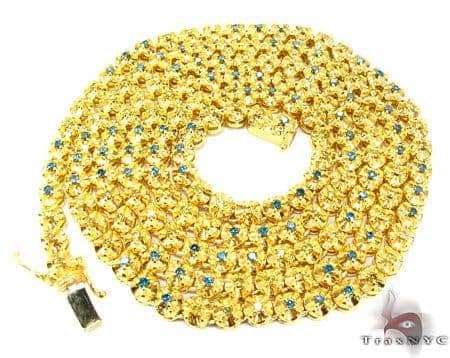 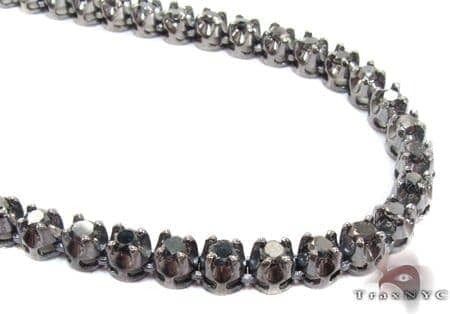 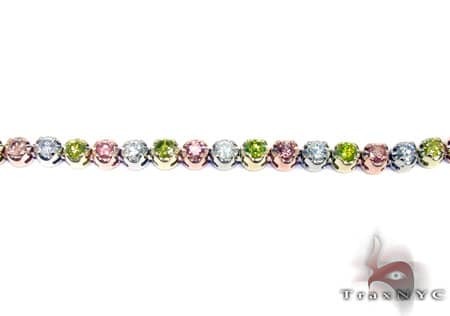 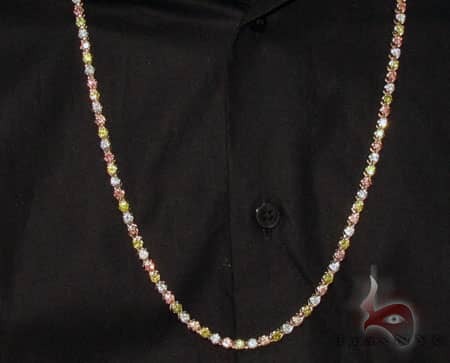 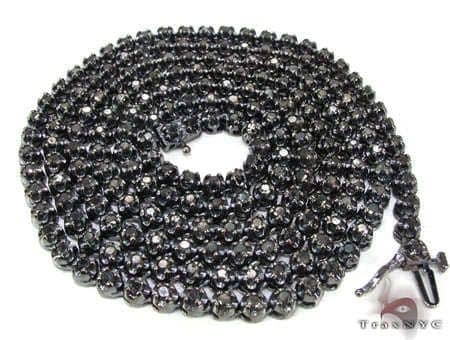 As far as Mens diamond chains are concerned we have a lot, but none match the quality and over all exclusive look of 'Sean's Champagne Chain'. 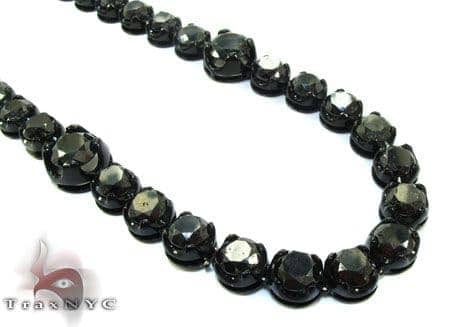 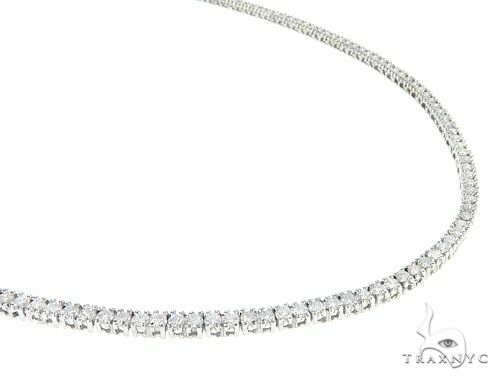 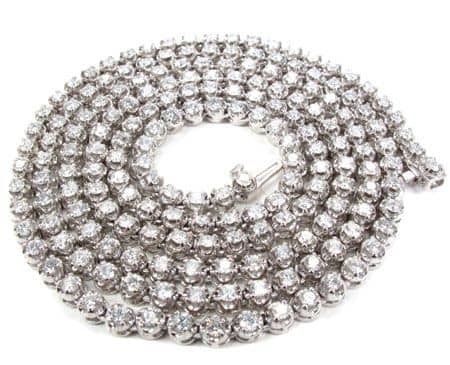 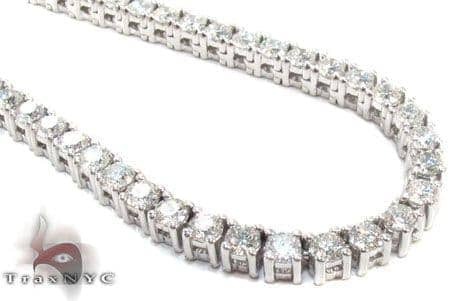 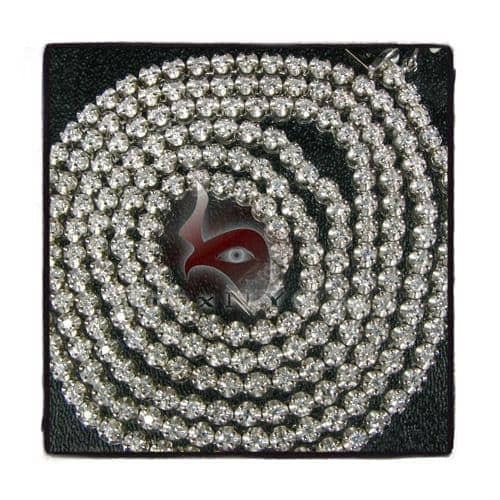 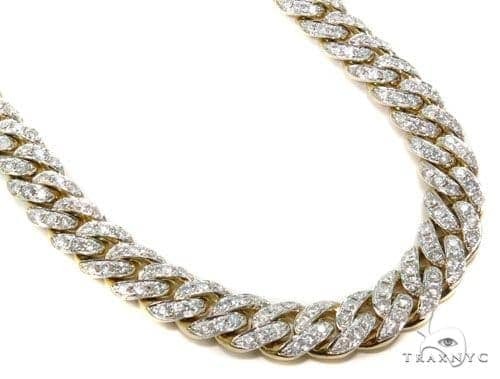 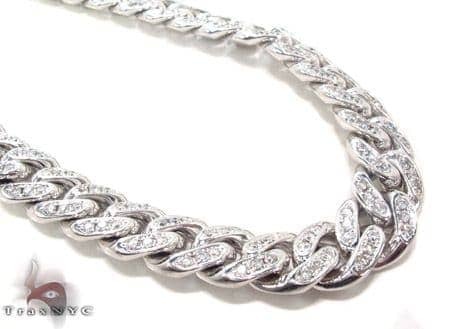 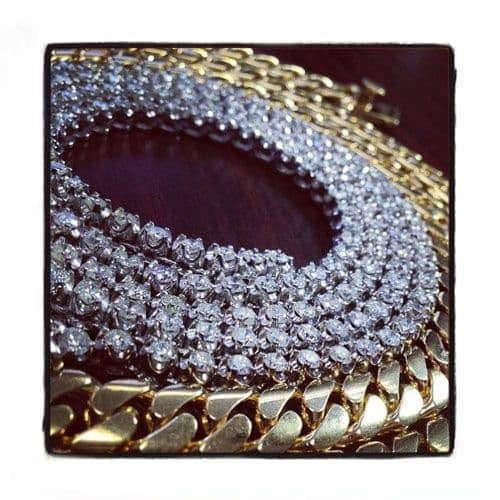 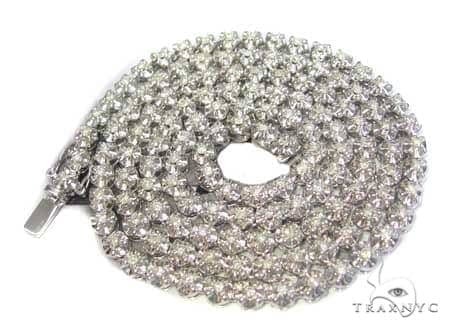 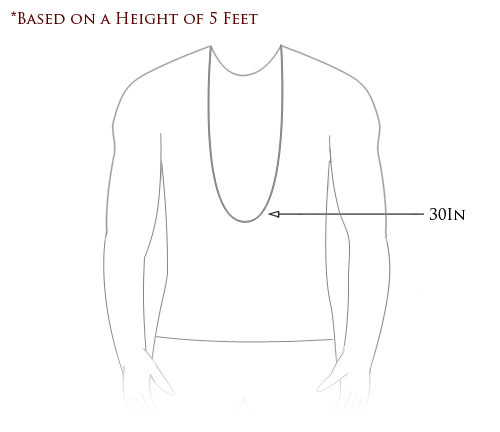 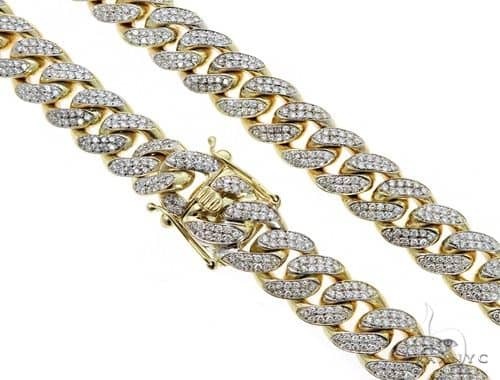 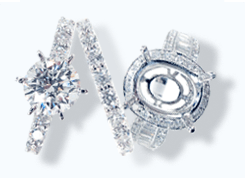 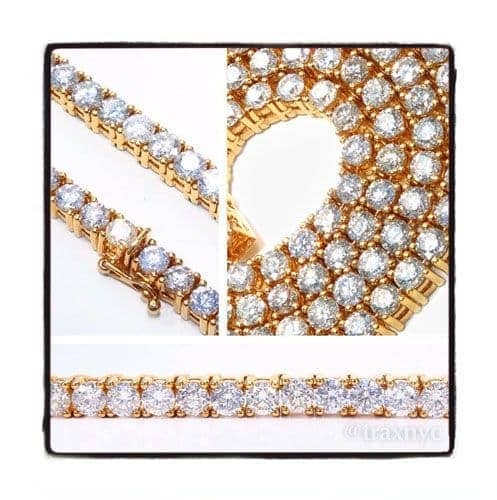 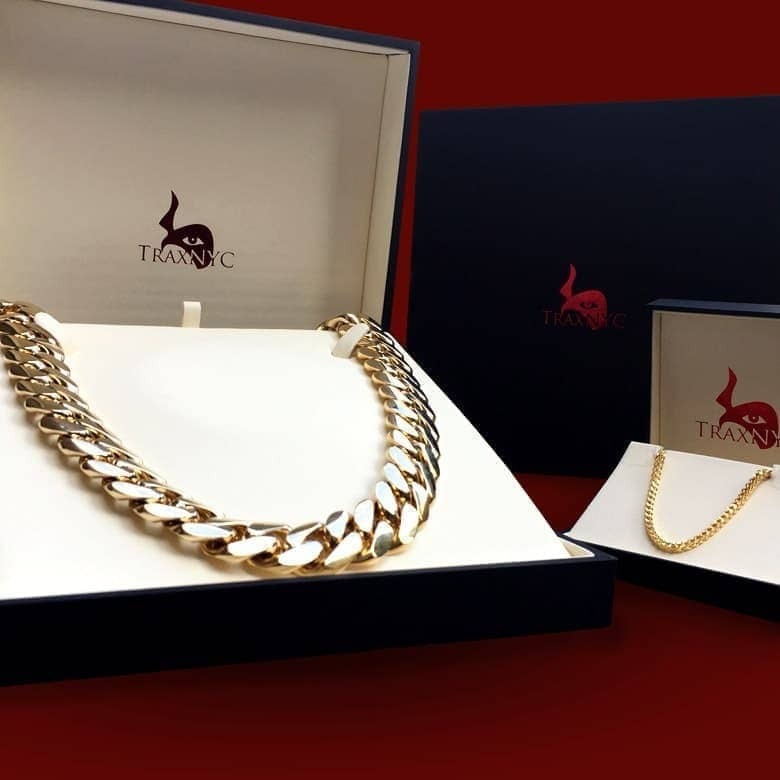 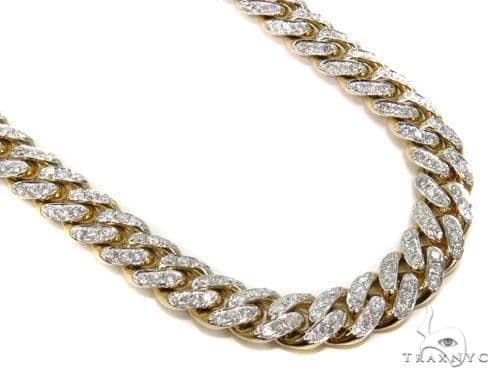 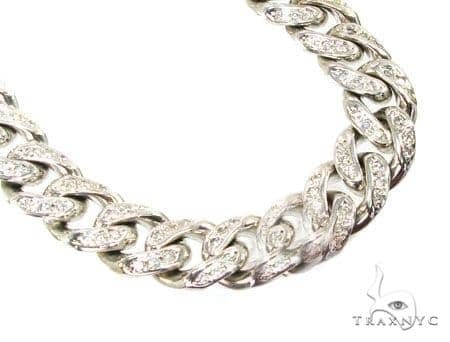 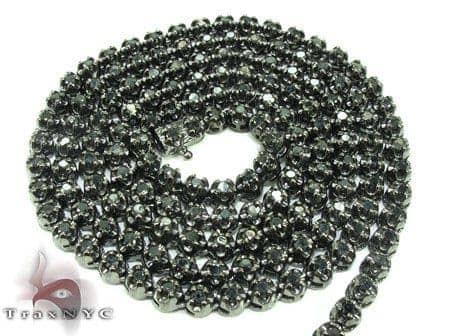 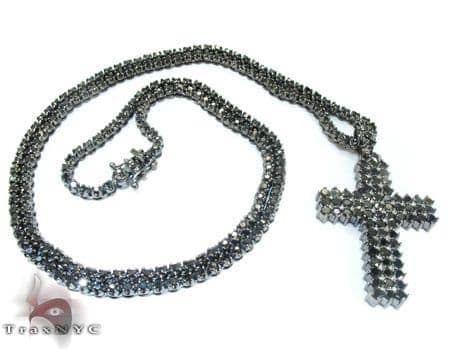 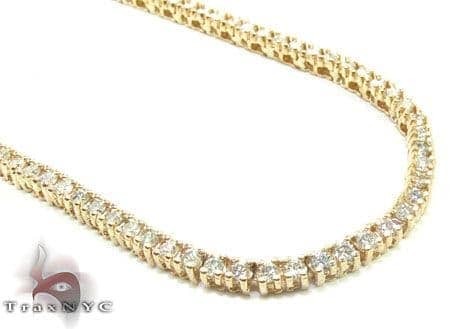 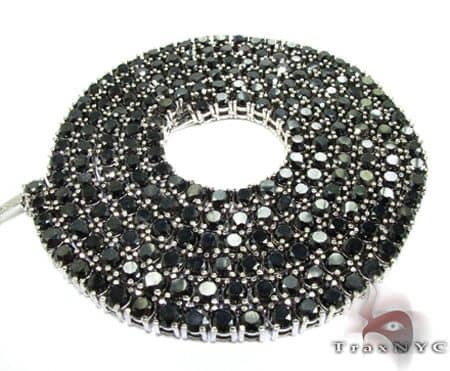 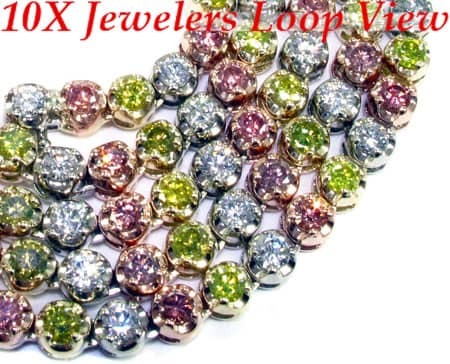 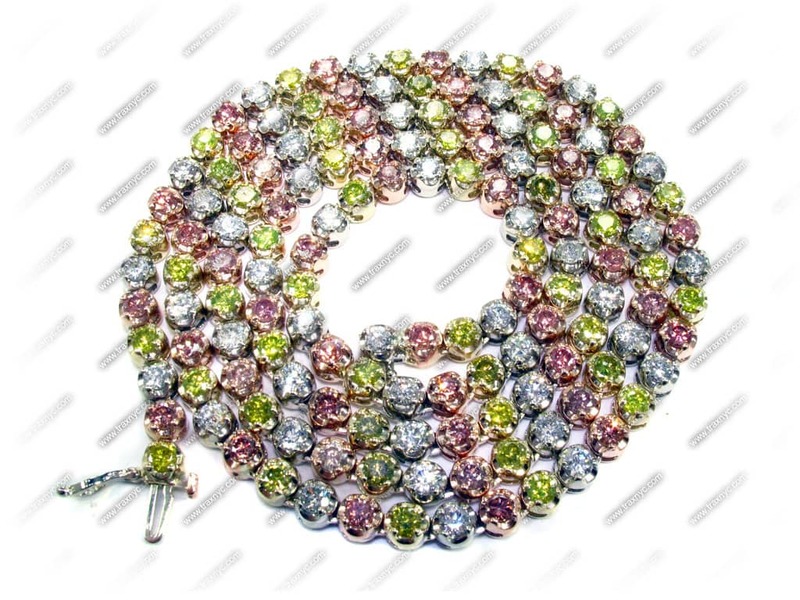 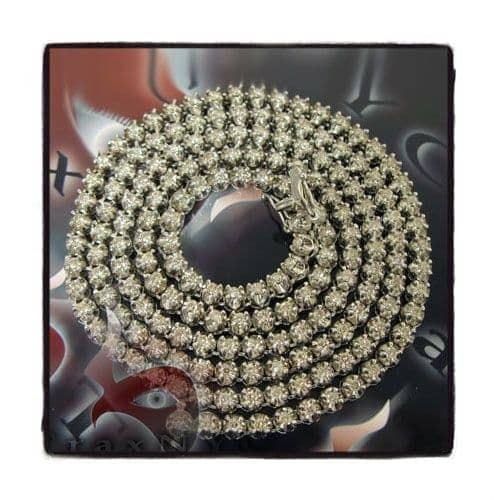 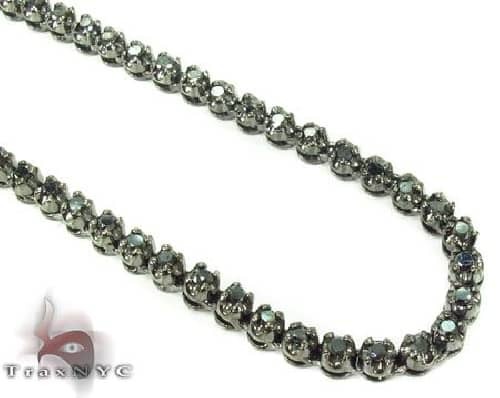 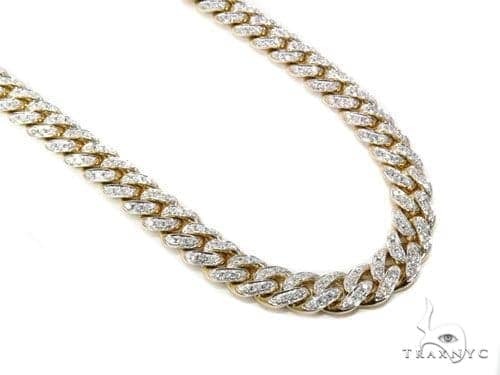 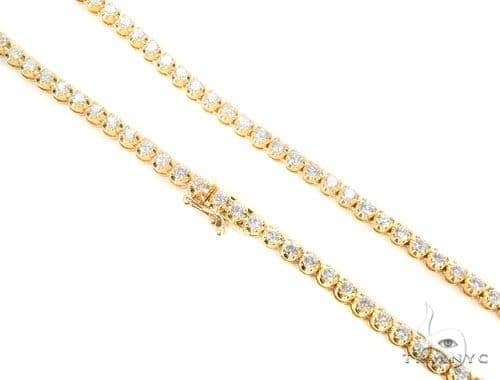 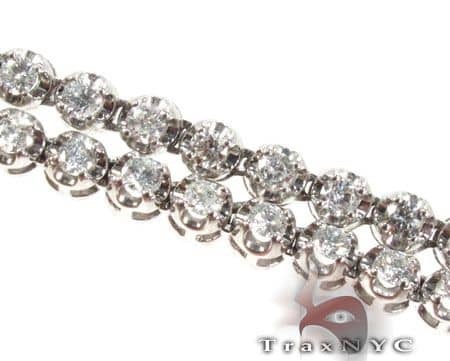 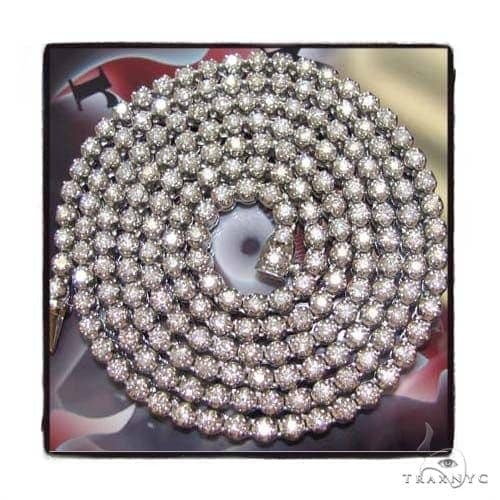 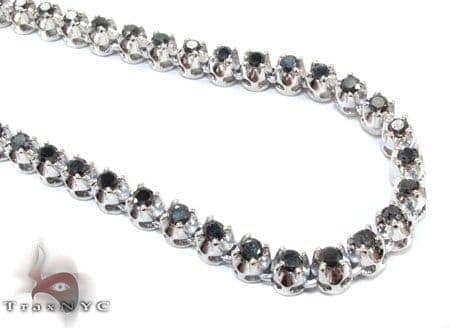 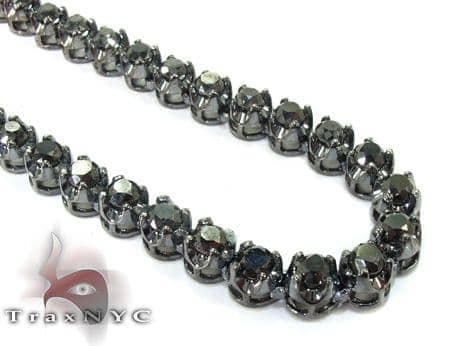 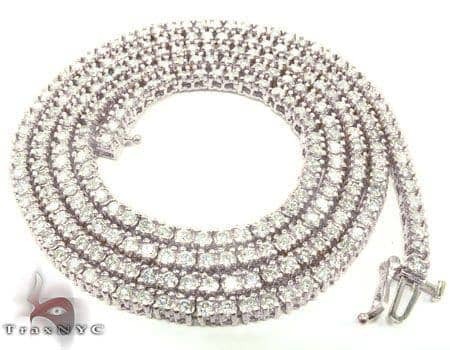 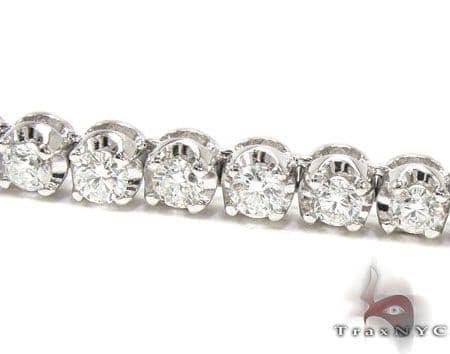 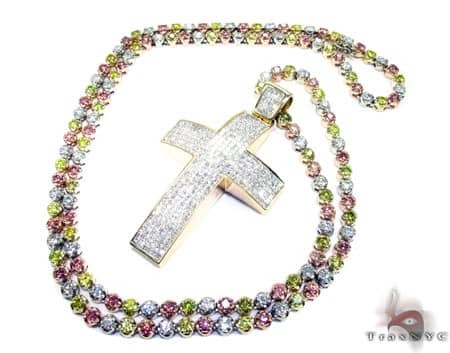 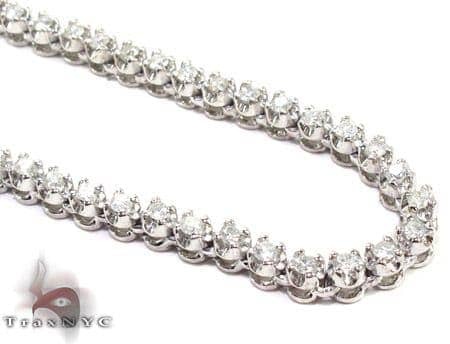 This diamond chain is a product of our state-of-the-art Custom Jewelry manufacturing process and it features some of the most exclusive Hip Hop Jewelry craftsmanship and materials available on the diamond jewelry market today. 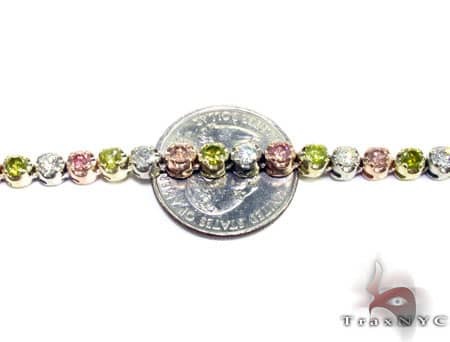 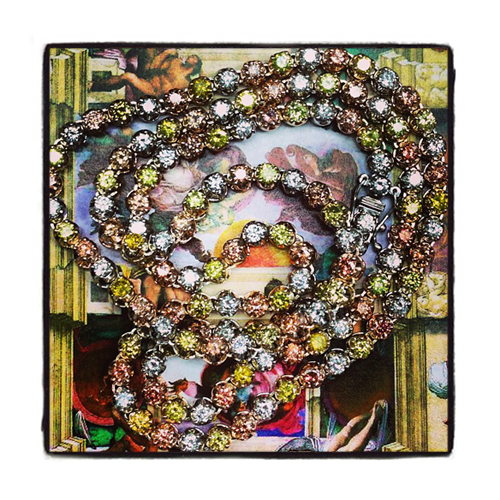 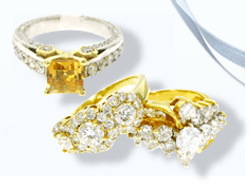 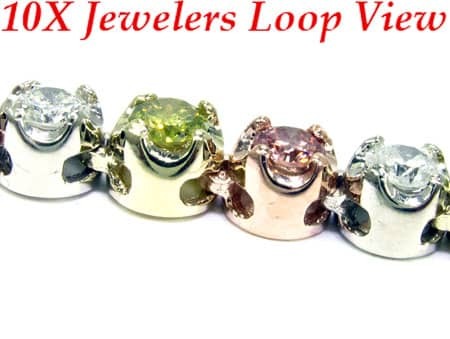 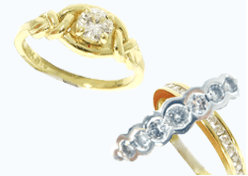 A hand made Rose, White and Yellow 3 tone gold casting (available only by custom order) is adorned with matching Pink, White and Yellow diamonds respectively. 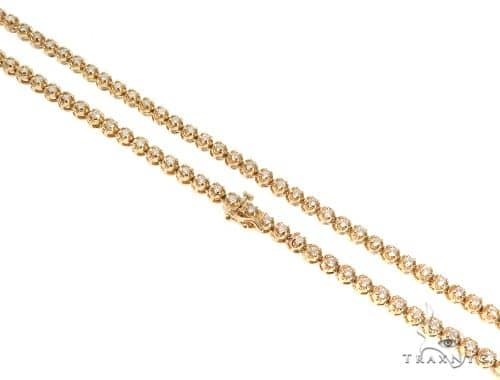 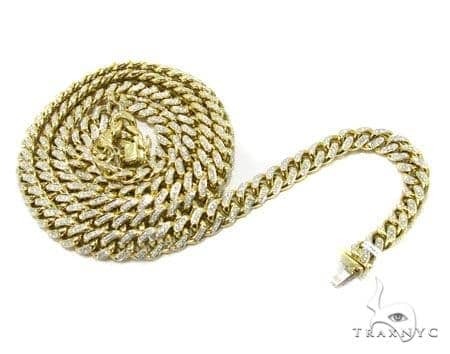 This chain is the idea of one of our good customers, who we assume will be wearing it while he is sipping only the finest champagne the world has to offer, thus it is called 'Sean's Champagne Chain'.